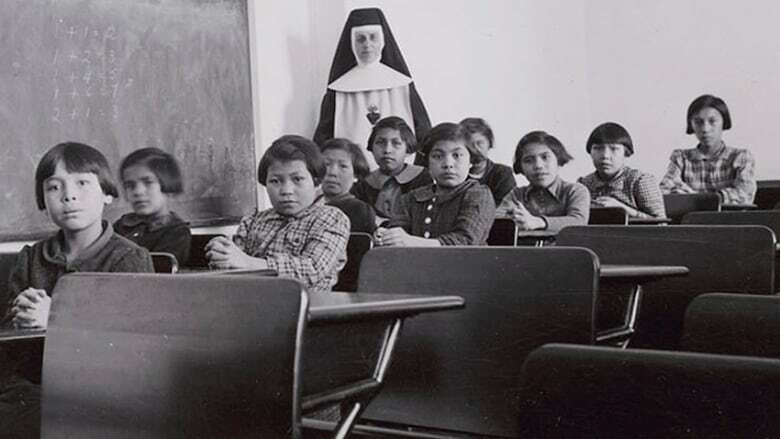 After the department of Canadian Heritage and Multiculturalism confirmed Wednesday it will implement a new statutory holiday to mark the legacy of Indian Residential Schools, First Nations groups are weighing the significance of its date. After the department of Canadian Heritage and Multiculturalism confirmed Wednesday it will implement a new statutory holiday to mark the legacy of residential schools, First Nations groups are weighing the significance of its date. The dates being considered are June 21, which is observed in Canada as National Indigenous Peoples Day, and Sept. 30, observed as Orange Shirt Day. Beyond94: Where is Canada at with Reconciliation? 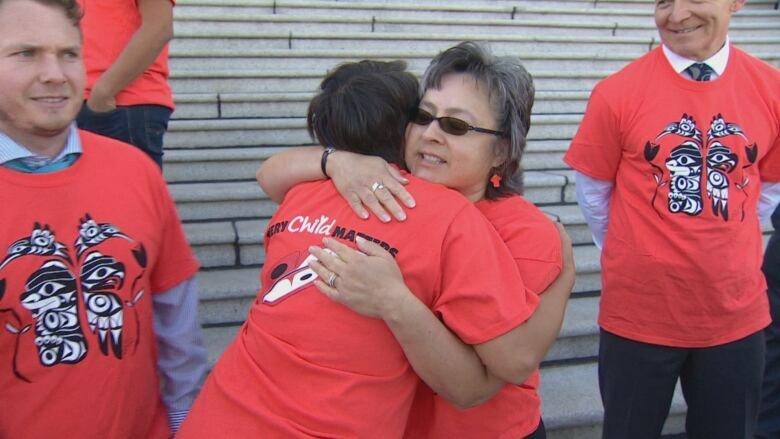 Orange Shirt Day was started in 2013 by Phyllis Webstad, a residential school survivor who attended St. Joseph's Mission Residential School near Williams Lake in B.C. 's Central Interior in the early 1970s. The day is named after an orange shirt — given to Webstad by her grandmother on her first day at St. Joseph's — was taken from her. While she said she hasn't been officially approached by Canada, Webstad called the consideration of Orange Shirt Day "an honour." She said she hopes making it a statutory holiday won't sully the deep meaning behind the occasion. "What I didn't want was for Orange Shirt Day to have public controversy," she said. "It's a day to honour survivors and remember the ones that didn't come home. It's a time to chat and educate others on the history of residential schools and maybe even do a bit of healing." Ry Moran, director of National Centre for Truth and Reconciliation, said he's pleased to see Canada "take another step forward" in implementing the TRC calls to action. "This is not just about creating another day off from work or from school," he said. "We have to remember and we can even borrow the phrase from Remembrance Day, 'Lest we forget.' If we forget what has happened in the past, just how low we can sink, we are at serious risk of recreating those same issues again in the future." While Moran said the National Centre for Truth and Reconciliation has not yet formally been consulted on a date, it should be reflective and also commemorate the generations of children and parents "scarred as a result of the residential school system." "There may not be a perfect day out there," said Moran. "I think the most important thing is you know as many people as possible feel good about what they've chosen and then collectively as a society you know we honour that day and we honour it properly." Webstad said that if the day becomes a federal statutory holiday, she's worried the requirement for employers to pay their staff for the day could invite objection or debate on a day that's meant to promote peace. She said that no matter which date is selected, Orange Shirt Day and its purpose, will carry on. Another day to reflect on what happened at residential schools "will only push it further," she said. "Orange Shirt Day was created to keep the conversation happening, so that it will never be forgotten and so that Canadian society can learn more about it," she said. "That's going to change history for First Nation peoples, when people understand what happened to us. To heal, we need people to listen and understand. That's what this day should be and is already there for." It's still unclear which Indigenous groups have been or are being consulted by Canada on the subject, or when a final decision on the new holiday is expected. In a statement to CBC News, a spokesperson for Heritage Minister Pablo Rodriguez said the department's work on the new holiday is in direct response to the Truth and Reconciliation Commission's Call to Action 80, which asks that Canada establish, as a statutory holiday, "a National Day for Truth and Reconciliation to honour Survivors, their families and communities."